A good friend of mine tagged me with the Bookworm and I thought it was a great idea for a Friday 13. You’re only supposed to choose one book but being a true bookworm, I couldn’t make up my mind so I cheated. It’s pretty late for a Friday 13 but I thought this one needed a lot of thought. 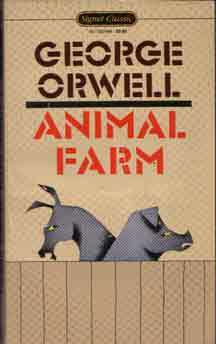 Animal Farm by George Orwell – I will forever be thankful that I had the brilliance to take an English Lit class as one of my electives in UP. 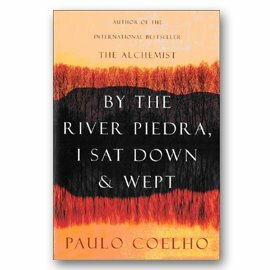 This book was a reading assignment and to put it simply, it really bothered me. The premise was simple and yet the imagery and the message, was so powerful. 2. Book you’ve read more than once – Gosh, this one was so difficult because if I listed it all, there would be more than a hundred of them. Mythology by Edith Hamilton – There was an old worn out copy in our house and in a fit of boredom (I was 10), I picked it up. That started my fascination with Greek Mythology. 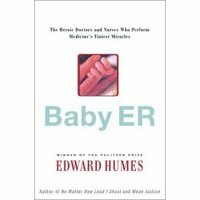 I read this book over and over and over that I almost memorized it. I wasn’t surprised when I aced the Greek Mythology part in my fourth year high school English class. 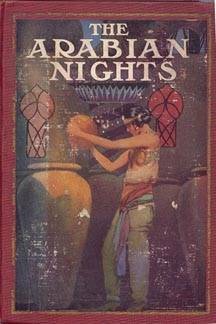 The Arabian Nights – This book was a really thick Reader’s Digest children’s version that I borrowed (and never returned) from my aunt. I still have the super dog eared copy in a bookshelf, saving it for when the kids are old enough to enjoy it. Doctors by Erich Segal – I read this when I was in UP. I was curious about Love Story (didn’t see the movie) and after reading it (too mushy), thought I’d try another one. I would read this every time I was in between books and read it cover to cover without getting a bit bored. It offers a fascinating insight into the lives of four Harvard Med school students. It was like reading Gross Anatomy (movie with Matthew Modine) only ten times more riveting. 3. Book you’d want on a desert island – Well, if I can’t have the complete set in the Buffy series (yeah, I’m a fan and wipe that smirk off your face because you don’t know what you’re missing!!!!! ), then it would be any one of the books in #2. 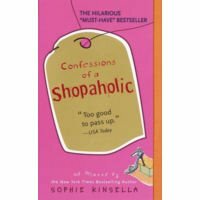 Confessions of a Shopaholic by Sophie Kinsella – She had me at the first page. Every girl has a Becky Bloomwood inside, just roaring to be let out. Shhhh, I keep my inner Becky in tranquilizers. Bridget Jones’ Diary by Helen Fielding – This one doesn’t need any explanation. I never anticipated a movie version more than this one (except perhaps Harry Potter) and I wasn’t disappointed. The movie was as funny as the book. 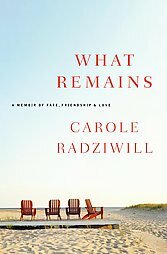 What Remains by Carole Radziwill – I read an excerpt of this book from Oprah’s magazine and haunted Powerbooks until I had it. The author, who was the wife of JFK Jr’s. cousin, wrote about her and her husband’s very close relationship with John and Carolyn Bessette and how she dealt with the tragic accident that caused the Kennedy’s’ s death and losing her husband to cancer a few weeks later. Reading about her husband’s last moments in the hospital made me cry. I remember Ernest Hemingway said that all love stories end in tragedy because someone always dies. Necroscope by Brian Lumley – I’ve always admired writers of good fantasy books because of the imagination required to create a world that captured a reader’s attention. 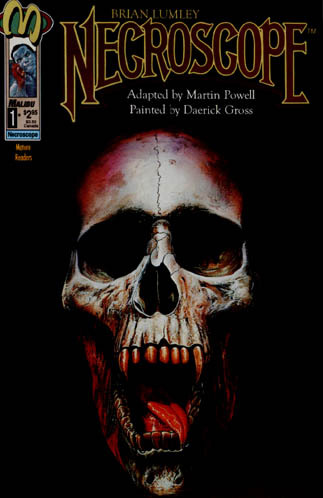 This book is part of a horror/sci-fi/fantasy series made up of 10 (I think) books (and I have every one of them). It’s about vampires in an alternate world and a British intelligence agency (like the CIA) that’s made up of “gifted” agents. Fantastic series and really gory. Harry Potter – no explanation needed. 7. Book that you wish you had never been written – For the life of me, I can’t think of a single one. There are a lot of books that I wish I didn’t buy or read but I think they were so forgettable that I just can’t remember the titles. Except for the book in number 11. That would probably be it. 8. Book you are reading at the moment -- Just finished “The Other Boleyn Girl” by Philippa Gregory. A brilliant historical fiction book based on the Boleyn sisters (Mary and Anne) and how they seduced King Henry VIII to gain power for their family. One hundred years of solitude by Gabriel Garcia Marquez -- I have the copy, I’ve always been curious about it, just haven’t gotten around to reading it. Harry Potter and the Sorcerer’s Stone – I first found out about Harry Potter when I read a short blurb about it in Time Magazine (it wasn’t a sensation yet) and I thought, hmmm…children’s book. Am I glad I decided to give in to my curiosity and got a copy. The Amulet of Samarkand by Jonathan Stroud -- Again, I stumbled on this one while browsing through Amazon and the comments made me interested. 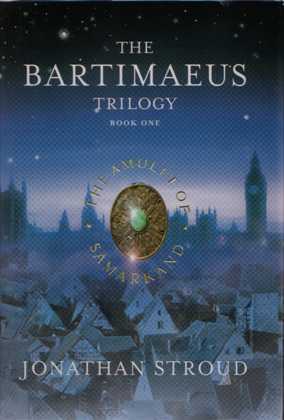 It’s a three part series (Bartimaeus Trilogy) that is guaranteed to cure your waiting for the next Harry Potter itch. It has the same elements that the Potter series has but with a totally different (and fresh) angle on magic. The “hero” is a djinn with a smart mouth reminiscent of Robin Williams’ genie in the animated Disney film, “Aladdin”. His comments are documented in footnotes and are laugh out loud funny. 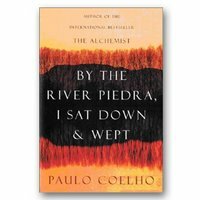 By the River Piedra I sat down and wept by Paulo Coelho – Ok, sorry to all the fans out there. I’ve been hearing all praises for this book and finally got down to reading it. I am so glad I just borrowed this book and didn’t buy it. I thought it was weird and creepy and trying hard to be deep in an existentialist and religious kind of way. Sophie Kinsella, J.K. Rowling, Sherrilyn Kenyon -- These are the only ones whose books, in my opinion, have never missed. Sadly, a lot of the authors whose books I read and (used to) patronize, are hit and miss. I loved Tom Clancy and Erich Seagal but their recent books have been a disappointment. Lord of the Rings – Yes I know it’s supposed to be a classic and I really tried to get into it but it bored me to tears. One of the things I really miss about having you as my AIM dorm-mate is all the enthusiastic book-sharing and interesting discussions we used to have.